Forever Nigella #22 is hosted by Sally of Recipe Junkie and the Attack of the Custard Creams.. This month’s challenge is to blog any Nigella recipe which represents Food to Cherish your Loved Ones. Forever Nigella is organised by Sarah at Maison Cupcake. I don't actually own any Nigella cookbooks (Shock! Horror! Although it is my birthday soon...) but I have been dipping and diving on Nigella.com, and this Old Fashioned Chocolate Cake was one of the first cakes I made for my little boy and has been a resounding success every single time I've made it. First attempt was a practice run for my little boy's 6th Birthday cake. A 'Well Done at School Cake' it was called. And then my little girl jumped on the bandwagon for her fifth - a Tangled cake. And then by special request, my little boy's seventh birthday 'That chocolate cake again this time with Bowser's Castle, please, Mammy'. So a round one, and a square one, with the round one chopped up to make various turrets. And my little girl's turn again, for her sixth. First a practice run - doubled the quantities again for this giant cupcake, and then a repeat of this for a My Little Pony special. A friend at work, who, strange as it may seem, loves chocolate cake... simplicity working surprising well. And finally (for now) a friend's little girl turned four, asking only for purple, orange and green... well what else could I do, besides chop Nigella's round cake in half and make a Rainbow cake. So if you love someone, make them a chocolate cake! Fantastic cakes, Annie! Totally agree that Chocolate Cake fits the bill. I'll add it in to the linky if that's OK? Thank you! It works every time as well, which makes it all the more appealing! Forever Nigella! 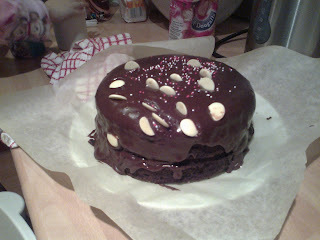 Nigella should be giving you a prize for person who has made the most beautiful chocolate cakes with her recipe! I love your creative decorations, designed for each special person. Just beautiful! Oh Thank you!! I am humbled. Love all of your cakes!! The decorations are amazing!! 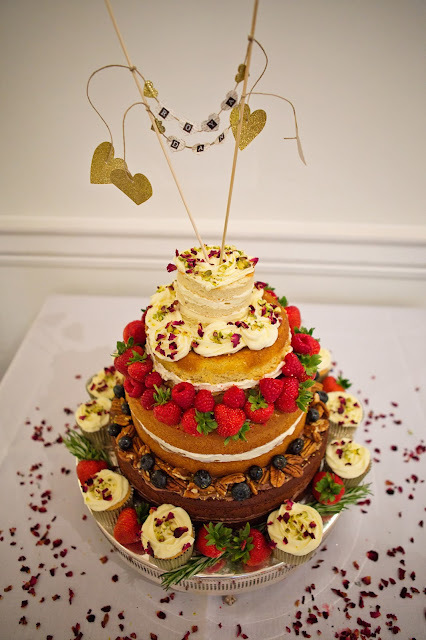 It's nice to have a good cake that is a crowd pleaser and so universal!